Do your shopping at Ambience Mall and Dilli Haat. Step off the beaten path and head to Hauz Khas Village and Select Citywalk. Explore New Delhi's surroundings by going to Noida (The Great India Place & DLF Mall Of India). 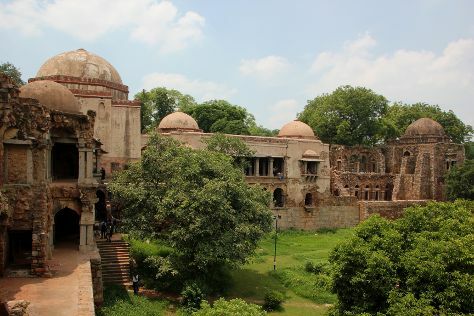 And it doesn't end there: get a taste of the local shopping with Khan Market, contemplate the long history of Humayun's Tomb, stop by Meher Chand Market, and admire the landmark architecture of Rashtrapati Bhavan. To find other places to visit, where to stay, and more tourist information, use the New Delhi day trip planning site . In October, daytime highs in New Delhi are 39°C, while nighttime lows are 24°C. Finish your sightseeing early on the 22nd (Mon) so you can travel back home.